Recently, I made the decision to make a major change in my life. I left my job of 10 years to stay at home with my son who is now 3 years old. I spent years stressing over work and situations at work that were beyond my control. I dreamed of being able to leave the workplace and make the transition to be a stay-at-home-mom and live the family life. Here’s more about this transition! I have reflected a lot on this scenario and wonder why I didn’t make this transition sooner. Why do so many of us choose to stay in situations that don’t bring out the best in us? Why did I wait so long to make my move? What holds most of us back from making drastic changes in our lives that we know deep down are for the best? The answer to that is FEAR. We fear the unknown. What if I can’t find another job? What if I can’t find someone else? What if I don’t make enough money? What if my new endeavor isn’t all that I dreamed of? The bottom line is that most of us have allowed fear to control our lives. Best practice in the field of early childhood is to encourage children to take risks. We want children to be inquisitive and to have intrinsic motivation to try things that are completely out of the ordinary. We want our children to become creative thinkers, problem-solvers, and to develop a love for learning. However, somewhere along the way, many of us lose these qualities as adults. We become stuck in the same old routine. Doing the same things that we have always done. 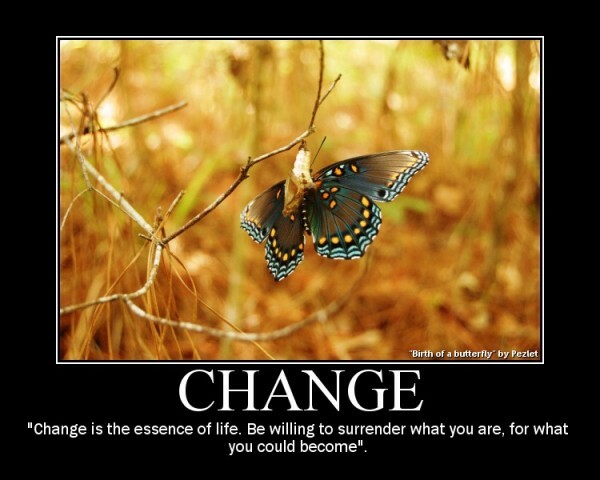 We have no desire for self-improvement, learning, or change of any sort. Through experiences that we have been taught by society to view as failures, we have been conditioned to fear taking risks. So, if you know deep in your heart that you are ready for a major change, don’t waste your valuable time! Life is too short to be unhappy. Don’t feel obligated to anything or anybody. You are the most important person in your life and you need to take care of yourself before you can take care of anyone else. Take some time to reflect on your priorities and make a plan. If what you are doing or not during currently does not support your top 3 priorities, that is a sign that change could be beneficial to your life. Now here’s food for thought. Instead of thinking about everything that MIGHT go wrong, reframe your thoughts. Write down all of your fears and then reword those fears. I can find an amazing job. I can find someone that will treat me respectfully. I can make more money than I have ever imagined.